Seattle’s office market is primed for a major growth spurt, with 26 projects encompassing some 6.4 million square feet of space slated to come online in 2019, according to a study by commercial real estate blog Commercial Café. 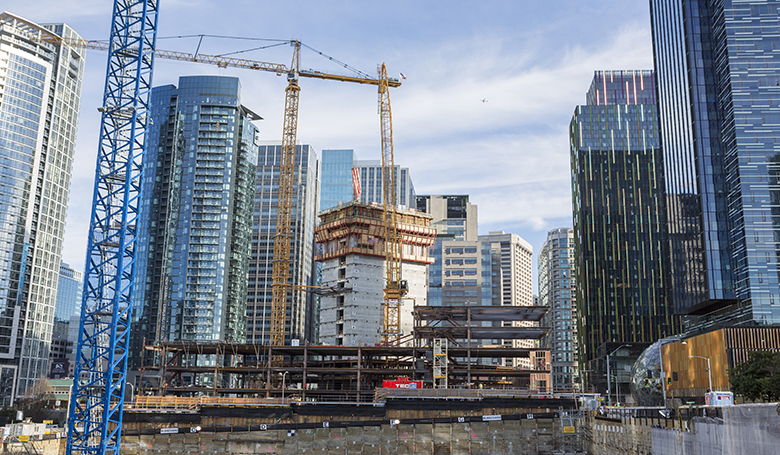 By comparison, in 2018, Seattle’s office inventory expanded by 1.7 million square feet via six new projects, according to the study, which was based on an analysis of Yardi Matrix data. Seattle’s mark of 6.4 million square feet of office space slated for delivery this year represents a 276 percent increase over 2018. Seattle also lays claim to the seventh largest office building delivery slated for 2019, Amazon’s 37-story, 1.1 million-square-foot Rufus 2.0 – Block 20 office building, slated for completion in June, according to Commercial Café. Seattle ranks fifth among U.S. metro areas in office-building deliveries scheduled for 2019, up from 17th in 2018, according to Commercial Café, which separates office development in San Francisco from other Bay Area projects. In the 2019 ranking, New York City is No. 1, with 15.9 million square feet of office space in the pipeline for this year; followed by the Bay Area, with 10.2 million square feet; San Francisco, with 6.9 million square feet; and Dallas-Ft. Worth, with 6.6 million square feet. In total, the top 40 U.S. markets delivered a total of 76 million square feet of office space in 2018 and are expected to add some 115 million square feet this year, according to Commercial Café.